THANKS to Elise, her staff & friends for an absolutely wonderful event filled weekend. I had a blast. We did 3 classes and........Y'all made some great art and got VERY inky fingers. Let me tell you...these gals REALLY know how to shop! 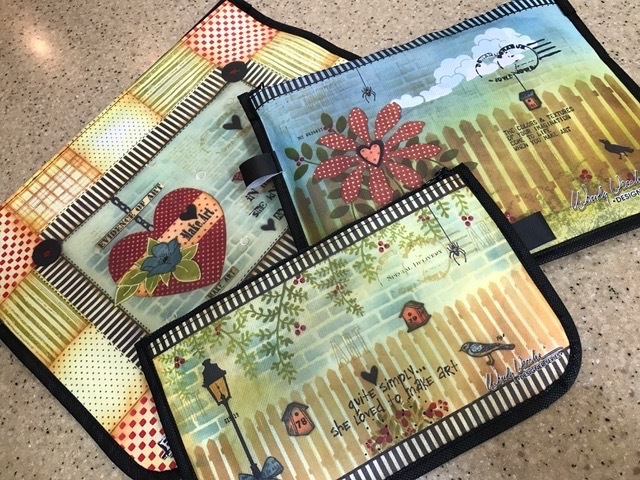 They cleaned out the store and got all kinds of fun studio490/Stampers Anonymous stamps, Maya Road chipboard, grungeboard & fragments to ENJOY! I got a guided tour of Charleston...some walking around time & some shopping too. What a picturesque place. WOW! On time flights....YIPPEE and my bags arrived too...another HUGE plus! Oct. 11 & 12 The Crafty Scrapper,Waxahachie Texas. 4 classes...and an extra bonus...some of my friends from the Maya Road design team will be there for the weekend too. AND...I get to tour Maya Road's warehouse. I think that will be cool. I hope I don't faint seeing all that product. My copies of "studios" arrived yesterday. Just in time...I'll read it cover to cover on my flight to South Carolina this morning. It's absolutely loaded with eye candy. The folks @ Cloth Paper Scissors did an excellent job. I was thrilled to see 4 full pages of photos. I had no clue what would be included on the inside...YIPPEE! THANK YOU...Cate, John, Pokey & Larissa. It was a pleasure to work with you. Special thanks to Jake Krancic...the photographer. This guy is totally amazing. He's responsible for the cover photo. Ok...time to shower & head to O'Hare. SC Girls ...I hope you're ready for a fun inky weekend! Get ready for the QVC shopping. Tim is on @ 3pm eastern TODAY! I don't normally have the TV on during the day, so I had to set the oven timer to remind me. POOR OLD BRAIN of mine! A REALLY COOL MAYA ROAD contest. The DT just got the details today, but our lips are sealed. I'll post the info here as soon as it's OK.
REALLY GREAT PRIZES. You'll want to enter for sure. Back to packing for the next adventure. I leave Thursday morning for A Scrapbook Store, in Mount Pleasant, South Carolina. The class kits are scheduled to arrive today. THANK YOU Mr. Fed-EX.....one less worry. We're doing the Ranger distress ink technique class, the fragments "use your scraps journal" class and the holiday hanging. So...there will be plenty of inking, chipboarding and grunging too. Should be a very FUN weekend! Think we'll use some studio490 stamps??? Just incase you missed tim's blog update...he'll be on QVC tomorrow @ 3pm eastern time. It's a special segment called...PAPERCRAFTING WITH THE PROS. 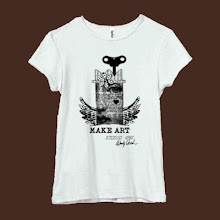 While you're on his blog, leave a comment & get a chance to win one of his very cool T SHIRTS. Lucky me...he gave me one @ CHA! 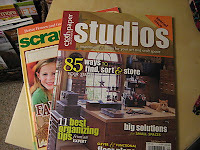 I guess some stores already have the new issue of "studios" from CLOTH PAPER SCISSORS. I stole this photo from Candi's blog...I'll be out by the mailbox waiting for my copies to arrive. The suspense is killing me! Ok...I got my seat reserved...and my credit card is within reach. Who says you have to buy groceries every week?? I was looking for a certain photo & happened upon this. One of my CHA Maya Road assignments was the "butterfly" book. It's 8 huge chipboard pages to alter...but I used just 2 to make this basket tie-on. Remember...look @ the potential...sorry for the lecture! Here's a side shot to show how it's dimensional. The "scroll corners" were a good fit for wing accents. using Ranger's jet black archival ink. The black buttons are also from Maya Road. A few black rhinestones were the finishing touch. In order to bend the wings, I stuffed (there's a real technical term!) tissue paper between the wings to gradually bend them. I left the paper in place overnight & when I removed it...they MAGICALLY stayed up. A little ribbon on the back & it seemed to have found a home on this basket. SO................ the moral of the story??? Try something different...challenge yourself!! It's FUN! Where did Tuesday & Wednesday go???????? I have NOT been laying on the couch eating bon-bons. Believe me...BUSY is the word here...with a capital B. I'm up to my ears in kits, packing & shipping. 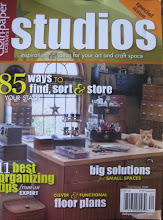 Debby Lewis got published and used some studio490 stamps. I'd say this is quite an honor...being on the Scrapbook retailers site. CONGRATS DEBBY!!! Take a bow!!! It looks wonderful! Thanks so much for sharing your art. 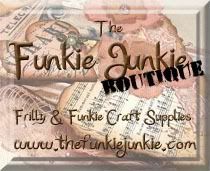 Check out the site for all the ingredients Debby used on her layout. I met Linda @ CHA in July. She came all the way from the UK, just to attend CHA & SHOP! We visited & talked about my stamps. studio 490 stamps!! YIPPEE! This arrived on Friday, so I got to take it with me to show Mr & Mrs Stampers Anonymous on Saturday. "Linda feels that these stamps are one of the most innovative products she saw @ the show". As you can imagine...that TOTALLY made my day...make that the whole WEEK!! Thanks again Linda for sending this!! Linda will have these instock @ her store. On Friday I told you that I was "on a roll". I finally completed this Maya Road mini tab book. It's called "notes & quotes" & it will be a fun new class offering. It's so loaded with chipboard, grungeboard, metal & "stuff" that it won't even come close to closing. Just what I like...loaded with goodies. What I LOVE about this book, (in addition to the cute size) is that we'll make all the backgrounds using inks & stamps. There's only a tiny bit of kraft colored paper used for a few of the sayings. Over the river and thru the CUTTLEBUG? Yes...anything that is NOT moving is fair game in this house! Here's a little peek of a new class...it's the Maya Road mini tab 3 ring book. We'll get to use tons of distress inks...and a bunch of studio490 stamps too. COOL TEXTURE! How simple...I added vintage photo & black soot distress inks for a great vintage look. 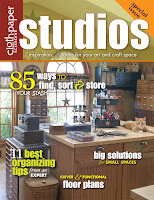 I just heard that the ACRYLIC COVERS for studio490 stamps are now shipping from Stampers Anonymous. I'm so excited to see what cool ideas you have for personalizing them. Send me photos & I'll be happy to post them on the blog! Well.......I'm supposed to be getting groceries.........but I'm headed back to the studio. I'm on a roll! Have a wonderful ARTY weekend! Just a little quickie post & 2 photos today. Here's another version of the "use your scraps journal" class. See those numbers above "always flowers"??? They are the left over UPC codes from the Maya Road rubons sheet. You've heard it before...WASTE NOTHING! I LOVE it when things work! Todays art is from the very talented Lynne Forsythe. Lynne is the Store Manager for Generations of Memories, in New Hampshire. I met her @ the first Ranger U I attended & we have stayed in contact since then. She's a sweetie! I got to see her several times @ CHA in July and each time we met, we laughed about something...she's a hoot. Lynne said she's addicted to studio490 leaves... I have to admit...that's my favorite too...(oh and a few more). They can be used on anything! 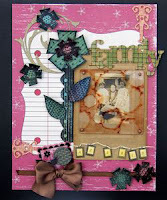 SO...without further ado...take a look @ Lynne's art, made with studio490 stamps. I see 6 different stamps used here. I LOVE THIS!!! 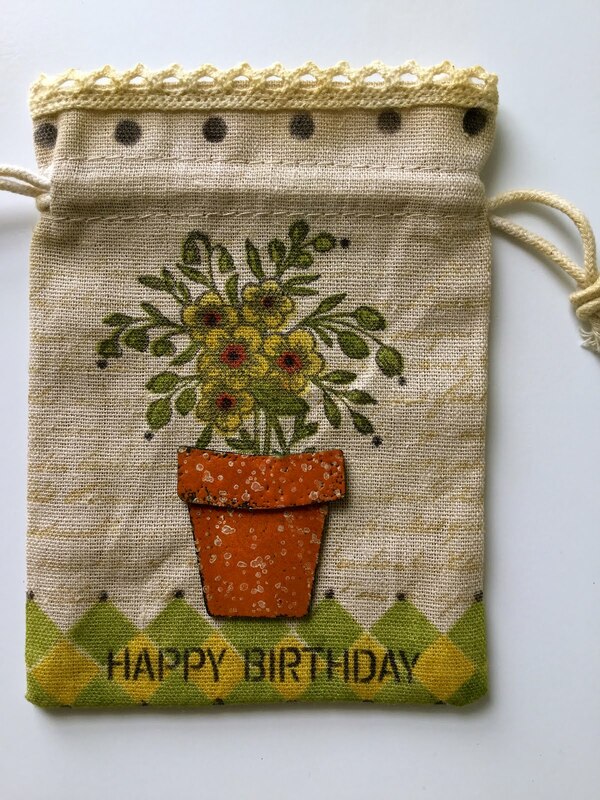 And...here's another beauty......using those leaves and the background script stamp on the flowers. Was I right?? Isn't she TALENTED??? THANKS for sharing your art LYNNE! It's really fun for me to see how each person uses the stamps. Next stop is Stamper's Cottage, in St. Charles Illinois, for 3 classes this Saturday. We're making a grungeboard wreathe in one class & the holiday hanging class is really popular, so we're doing that class twice. Mr & Mrs Stampers Anonymous will be there with a TRUCKLOAD of Stampers Anonymous/studio490 stamps. YES!! They actually drive a HUGE semi to the store & park it right there. You shop in the semi & the whole thing is nothing but...RUBBER!! I carried the camera for the 500 mile round trip & didn't even take it out of my purse...It seems that I get to visiting & it never enters my mind to take a photo. Maybe next time? Hmmm...I think I've said that before.. So...I HAD to yank the photo from Linda's blog. This is a VERY special group of art chicks. It's quite obvious that they are all friends, they all take tons of classes together & they really care for each other. Like I said...special! But then...so are the store employees and the owners. It's GREAT to see that each of you ended up with wonderful projects & it makes me sooooooo happy that you were pleased with them...That makes it all worth it! HEY gals..if anyone has photos of all the fragments books or the metal books, I'd love to post them here. My email is on the right. We need to "show off" the ART YOU MADE! We got the inside scoop from Nancy W...We heard all the juicy details about Scrap St. Louis 09. We heard loud & clear that you all LOVED '08...wait 'til to see what they have planned for '09! Hey...guess what?? We'll be there!!!!!!!!!!!!!!!! YIPPEE! I got an email right before we left about "qualifying for an academy award". I was totally brain dead & I had no clue what she was talking about. Yesterday I got the rest of the story. At CHA this summer, Ranger made a video of me demoing Perfect Pearls. I completely forgot about this. Obviously, this was not scripted by Ranger, as you'll find out...just me talking. What kind of word is that??? GEEZ... next time maybe I'll say metallic...(there goes my academy award). Rick just watched & LOVED my "vintage photo" fingers. NOT!! HA~! So, if you want more Perfect Pearls info, watch the video on Ranger's site...Check it out here. I'll be back tomorrow with a new "guest artist" and HOPEFULLY some photos of the books we made. This is my Hobby Lobby find...and what a bargain @ only $10.00. I bet you knew that was coming. I LOVE IT!! This weekend is the start of a busy teaching schedule. There's something going every weekend from now 'til Thanksgiving. After that, I'll be home to get my CHA assignments done...more stamps...etc. Teaching resumes after CHA. SO... New classes...new friends...spreading the joy of making art and using products from my favorite companies...(Ranger, Maya Road, Advantus & Stampers Anonymous). I am in heaven! St. Louis or bust. Here we come...FOR KEEPS SAKE! Get ready girls...We have a fun weekend planned for you! ps...Grab some kleenex & head over to tim's blog. It's total drool material...GEEEEEEEEEEZ...this boy has wayyyyyyyyy too much talent. VERY COOL CLASSES.......For those of you living on the coasts...you are VERY LUCKY girls...and I live in Illinois...too bad! Incase you don't get the emails from Cloth Paper Scissors...I thought I'd show you what they sent out yesterday. "Please use the version with the cat," and, "How did you get the cat to pose?" First, the story of the cat vs. no-cat covers. The cover you may have seen on our website without the cat is the original photo that Wendy took herself and sent to us as part of her Studios submission. We liked it so much we decided to use one like it for the cover. However, for various reasons covers must be shot with a very high resolution camera. 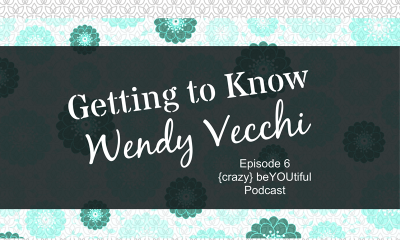 We used Wendy's original photo in our promotional pieces online and in our other publications until the cover shot could be taken and processed. So don't worry: the cat stays in the picture! Second, how did we get the cat to pose? As anyone with a cat knows, felines are not predisposed to do what their humans tell them. In fact, Wendy's cat Ringo, who was originally "booked" for the shoot, got quite affronted and was uncooperative. So her other cat, Ranger, was brought in, and this time Wendy was prepared: she bribed him with his favorite treat, fried chicken. Result? Good kitty, and good picture. Now that you've gone "under cover" with Studios, be sure to reserve your copy now by pre-ordering on our website. And just so Ringo gets his "second of fame"...here's the original actor, in a shot I took. Besides the comments about the cat, I've gotten a boatload of emails asking what could possibly be in all those drawers. So...after I get my copy of STUDIOS & see which photos were used on the inside... I'll open some of them & show you THE STASH! And speaking of stash..............Look @ what arrived yesterday! 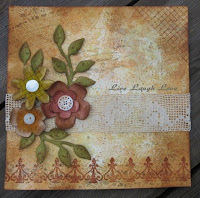 The gals in our classes @ For Keeps Sake in St. Louis get to christen these new studio490 stamps this weekend. Ahhhhhh...There's nothing as exciting as a box FULL of new rubber! THANK YOU TED & MICHELLE! We'll have fun with these!! One hour sun time on the deck. I better take advantage of every day. Summer is almost over here. More class kits done! YIPPEE! I got 6 HUGE background stamps sent off to Stampers Anonymous and a few stamp ideas are down on paper...but not yet ready to submit. FUN STUFF & versatile designs we NEED. It's hard to believe that CHA-W 09 is just around the corner and it's 2 weeks earlier than last year! YIKES! No time to waste. That's the talk for today.